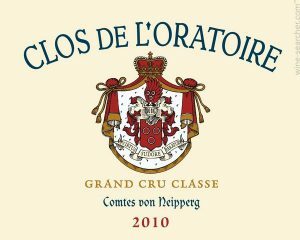 Clos de l’Oratoire is located on Saint-Emilion’s north-east slope.The 10.32 hectares of vines grow on Fronsac molasse covering a layer of sand with a clay subsoil. This terroir is ideally suited to the blend of Merlot (90%), Cabernet Franc (5%), and Cabernet Sauvignon (5%) grapes. Merlot contributes roundness and opulence to the wine, whereas Cabernet Franc is responsible for power, aromatic complexity, and length.